Outdoor square end table patio cast aluminum poolside furniture Desert Bronze. Cast Aluminum Construction is 100 percent Rust Free! 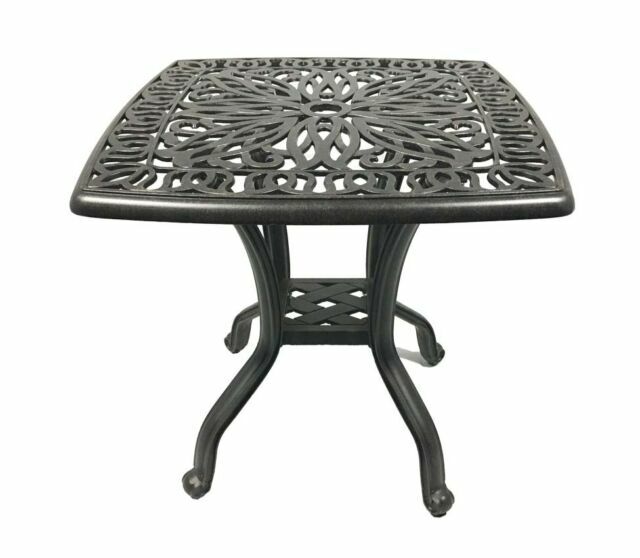 All-weather cast aluminum allows this table to last in any weather condition with little maintenance. Elisabeth cast aluminum 9-piece dining set with Santa Clara chairs. Sturdy lightweight table. Excellent for deck and in the house. Will order more.